I have been busy putting together new material for SIM 3 training, and AES seminar and the upcoming Broadway Sound Master Class. You have seen some of the work in progress below, but I have had to push to get things ready for showtime. Sorry for the delay in getting more things posted and for my lateness in response to Goran. Just pushing it right now – LOTS of really good stuff coming- phase circles galore but priorities……….. 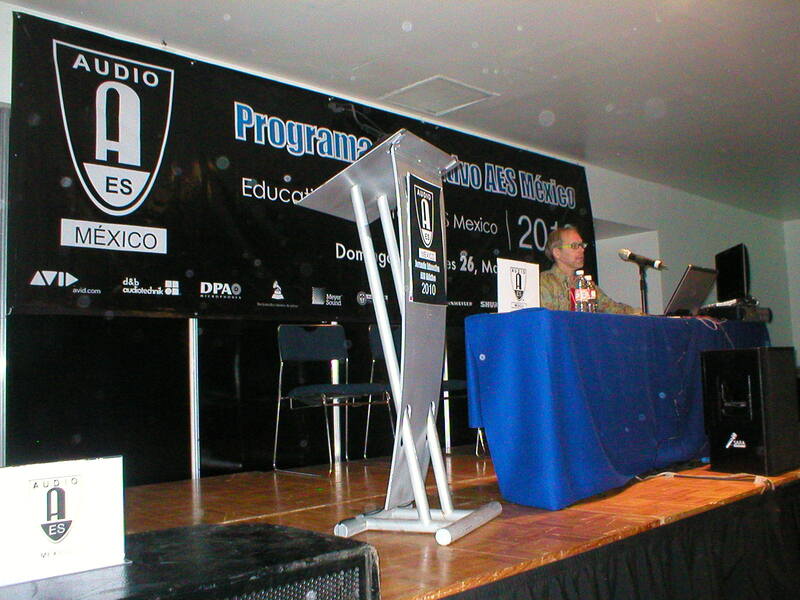 This is a big audio trade show in Mexico City. Lots of levels of gear mixed together: Pro Audio, Music Industry Audio, Guitars, Pianos, Disco lighting , and the most popular event was getting the autograph of a hot young girl singer. I am sorry but I never made it to the front of the line. :-(. I did a talk for about 1.5 or hours and it was like giving a speech at the United Nations. There was a faint spanish language echo in the room when I spoke, about 500 ms delayed. It was a translator in a booth at the rear and everybody in the audience was listening on headphones. Wow, this guy was fast – and good, because I even got a few laughs at my jokes. I remember doing a translated seminar once in China. 4 days without a single laugh – until I tripped and fell down on the stage – the crowd loved THAT! OK back to Mexico. The lecture was very well attended and it was a great honor to have so many people there. We covered alot of interesting topics including subwoofers steering and fun stuff like that. I was told that this was the best attended training session of the convention (about 120 people) and that felt really good. If only I could have gotten the singer girl to join me on stage we would have REALLY filled up the place! Here are two pics from the seminar. The first one shows me at the podium. I don’t remember the bubbles floating around the room, but you can see them in the picture. The second one shows the view in the room. 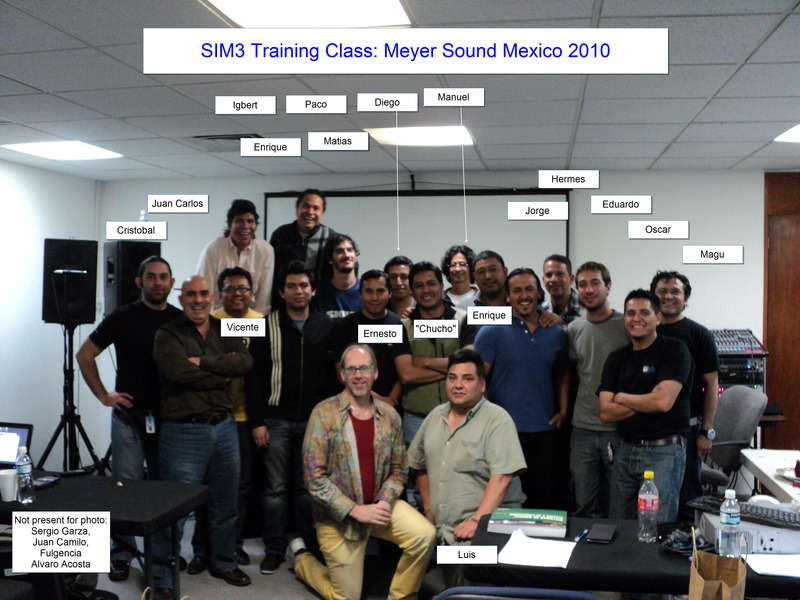 Next on the agenda was Meyer Sound Mexico where we held a SIM3 Training. 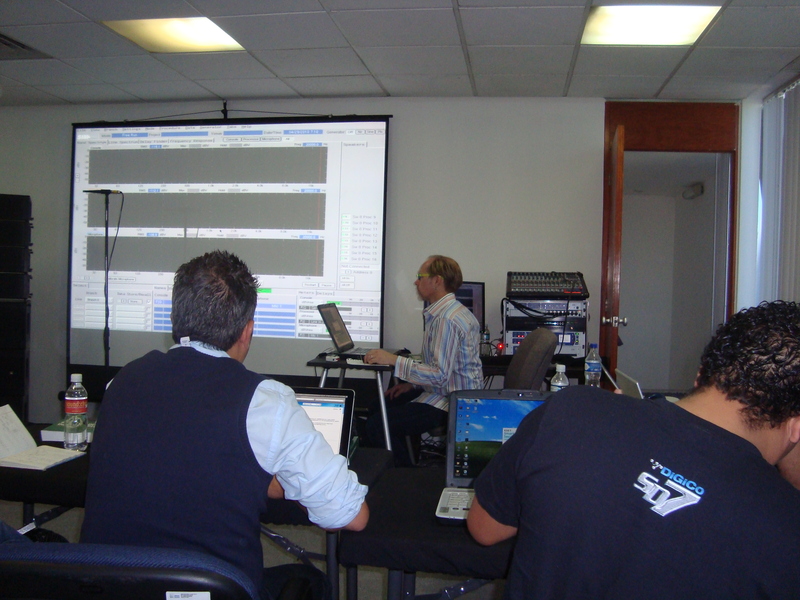 It was the usual 4 day session, but in Mexico City the sessions are marathons. Typically we go from 10 am to 7pm, but two of the days we went past 9 pm. The Mexico city schools are some of the most interactive of all the schools I do. The students are sendiing up a constant stream of interesting and challenging questions and we cover SO MUCH material. 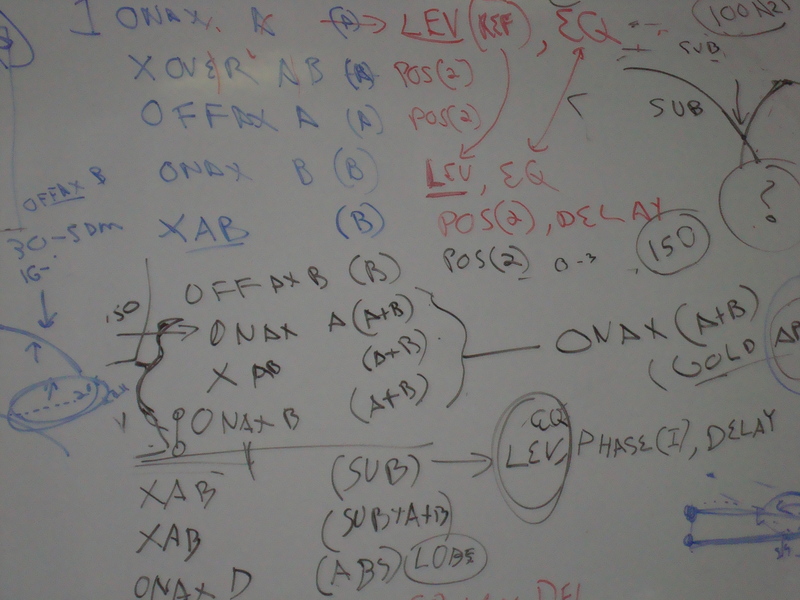 Sometimes the order in which we cover them is a bit crazy, but we cover TONS of topics. 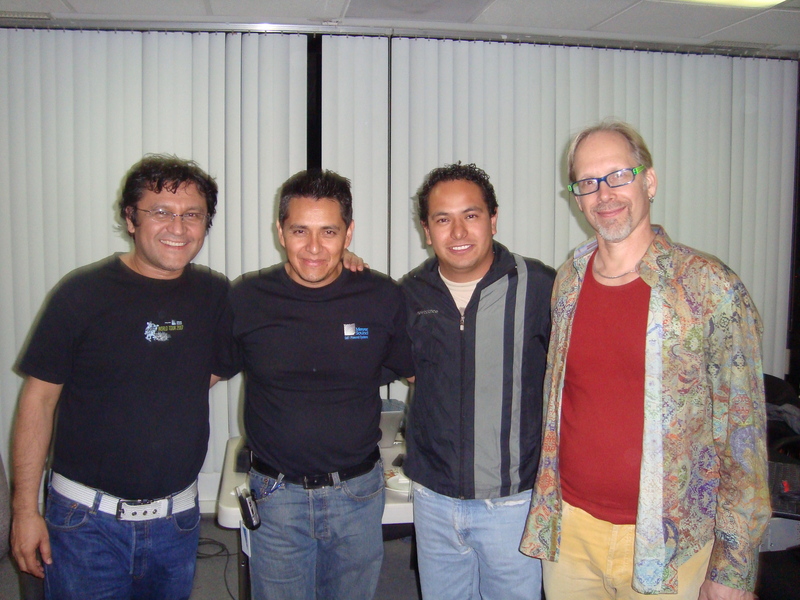 Working with me on this seminar was Oscar Barrientos and Mauricio Ramire(el Magu). These are expert teachers in their own right so it is great to have them to translate and enhance. My typical style, when doing a translated seminar, is to (try) keep my talking short, to make quick switches to the translators. With these guys, because they know the subject so well, they can follow the concepts and even expand on what I say when they move it into Spanish. This helps speed things along alot – because typically a translator has no audio knowledge, does not know the terms, and certainly does not know FFT analysis. (In Korea once we had a translator QUIT at lunch time the 1st day – because she was too humiliated by all the students telling her she was translating all the audio words wrong. A student, Sean Cho, took over the job and saved the seminar). 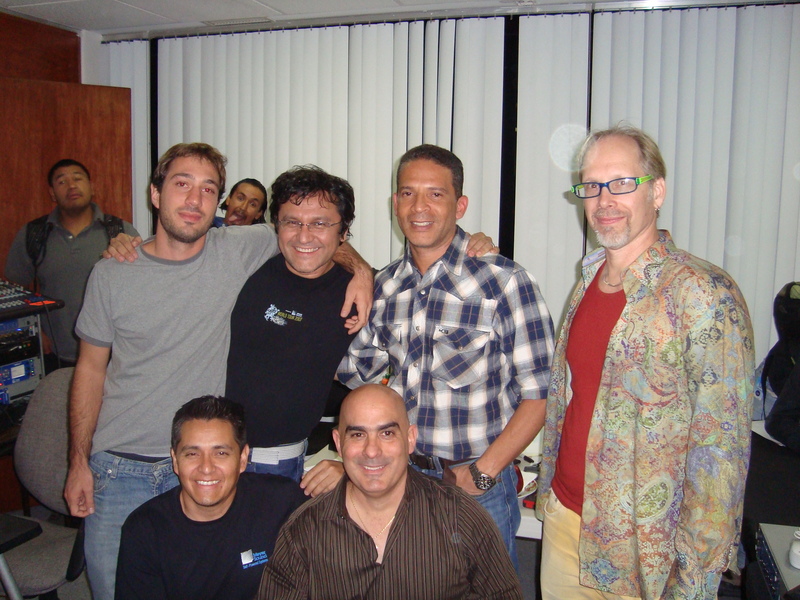 Most of the students had been to Magu’s and/or Oscar’s training courses before and a few (Eduardo Brewer from Venezuela and Jorge and Juan Carlos Yeppes) had even been to my course before. It is the ultimate honor for me to have engineers return to my course. The advanced level of the students helped us to move along at a very fast pace. I am always very grateful about the way i am treated in Mexico. They are SO GOOD to me. I also had the honor of meeting Luis Pinzon. He is the only person I know with 3 copies of my book – 1st & 2nd edition ingles, and 1st edition espanol. I happily signed all 3 for him. I wish I had brought a Chinese version to give to him. That would have completed the set! . Luis also gave me his cable checker – which is quite amazing. I was taken to some really nice restaurants by Antonio Zacarias and also we went for Tacos to El Charco – which I highly recommend. Also went to a Chinese restaurant in a shopping mall near Meyer Sound Mexico – I DON’T recommend this place, unless you want to die. Funny though ….A week later I had Mexican food in China – The Mexican food in China was better than the Chinese food in Mexico, but Mexican in Mexico and Chinese in China worked out the best. 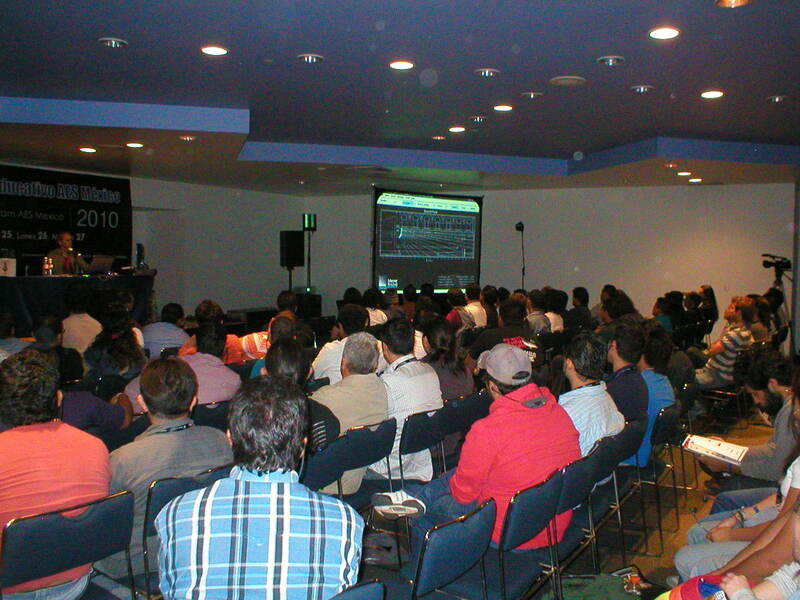 So here are some photos from the Mexico seminar, taken by Eduardo and Hermes. I think I have the names right on the class photo – if not help me out please. 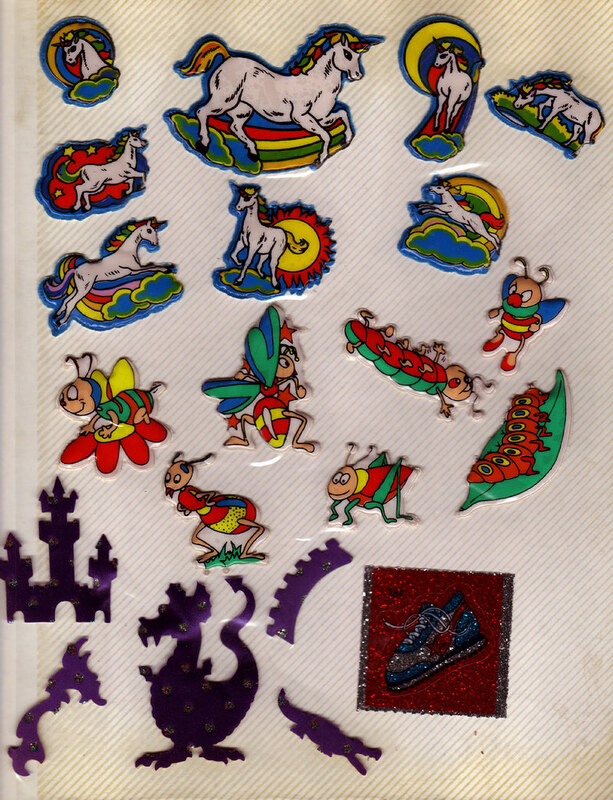 Also if you have some others – please send them to me. Hey Bob, just got the second edition o your book a couple of weeks ago so now there are two people you know with the three versions of it. I will have to write more to keep up with you and Luis! Thanks for your comments, it was my very pleasure to meet You and your knowledge. 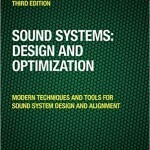 Let me tell You something: I’m not the runner of Doctorproaudio.com. I’m just a “someone else” in that website/forum. Hope You liked my “gizmo” -ten years of my life goes with it-, and I’ll be glad to receive that chinese copy. I will edit the text about DoctorPro. The next time I see you I hope to have a chinese copy for you. This summer i will do a seminar in Hong Kong. Guess I will have to learn to read my Chinese version! I want to collect the whoe set!!!!!! Special seminar Bob, was a pleasure to be present and absorb some of your great knowledge, I hope to return next time. Thanks a lot.